I wield a flat iron already but with a pink flat iron, I know my coiffure would definitely be more luxurious and lustrous. I've heard this is a good one! I would love to try it out! Cool giveaway. I could definitely use a new flat iron, mine is really old! And I am already a follower. oohhhh what a great giveaway! i am already a follower! and i hope i win! I follow on reader too. As always I am a follower. I could use a new straightener! Absolutley darling giveaway, i twould fix all my hair issues and still be pink. Thank you! I've also already been a follower!! Ah I need one!! Mine was stolen and this would be amazingly helpful! Plus it's pink! Yay what an awesome giveaway!!! Thanks for sharing! Yeah, I know what you mean about sizing. That question keeps me from buying a lot of things online. You just never know! And I really don't like returning and buying again. Bleh! Hahaha I've never owned a flat-iron in my life and keep on meaning to buy one! I RT @prblms4loki and I follow on Google Reader! What a great giveaway, Erika! A good straightener can often be key! Ooh la la! I agree, everything is better in pink. I have never learned to use a flat iron. It's tragic. And I'm a follower and love your blog. :) But I don't have twitter . . . I LOVE THIS GIVEAWAY. best one I've seen!! I need a new flat iron that works well and the color is pretty, too. I'm already a Café Fashionista follower. a real must! indeed. What a cool color. Great give-a-way! This looks really cute in pink. I'm also a follower! I am a follower of cafe fashionista on google friend connect! OOh loving this giveaway! My flat iron is over five years old! Happy Friday, Erika! have a great weekend! Hey Erika! Just wanted to let you know I gave you an award on my blog :) http://bit.ly/cb6WBW <3! great giveaway darling you. hope youre having an wonderful weekend. 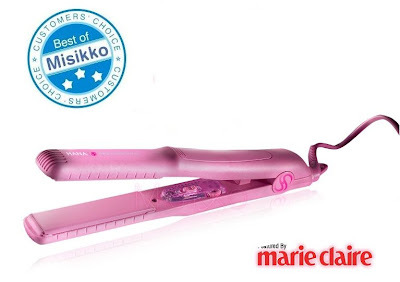 yes please to the pink straightener! love it! Love it, and it's pink! A much added bonus! Perfect timing my flat iron broke this week. I am a follower and tweeted. And of course I'm a follower - LOVE Cafe Fashionista! Awesome giveaway! I need an new flat iron too and love using it as a curling iron too! Great to pack just 1 tool for traveling! Cute blogg, have one of these! But great post!! Misikko makes great products! Mine broke from being dropped too many times so I need a new one badly, but it still works better than the brand new one I spent $50 on at the local beauty supply store. Want! What a fabulous giveaway--I'm very partial to pink hair styling instruments (I have a wonderful pink high tech dryer) and am going to tweet it in 2 secs--my id is @trustyourstyle on twitter--because I could really use a great flat iron to tame my unruly tresses! Thank you dear for this fab giveaway! I follow you here and, of course, on Twitter. I've been searching for a new flat iron. I already follow on Blogger. Aw once again, wish I could enter. Good luck to everyone! Last time I found flat iron I got confuse because of so many sorts of were there. This one is pink....;p I like it. Oh... I SO need a new one of these! Great flat iron and I love the color! Of course I am following you- as I love your blog! Have a great weekend! I'm in, and I'm a follower! Would love a chance to win! :-) I have been needing one of these! lol Please enter me! My current flat iron has seen better days! What a terrific giveaway! I could definitely use one of these to have some more variety with my hair. Never thought I would need one of this but long hair and summer in Miami require one! have a nice sunday! 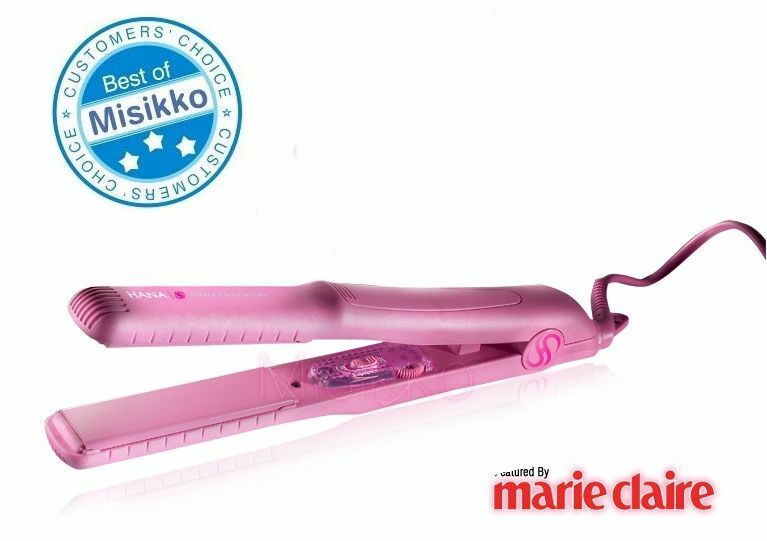 I want to win a great flat iron! Pick me! already a cafe fashionista follower on google friends connect! Love it! It's so cute and little- I already have one but could use a small 1" for curling AND straightening. My big one doesn't curl. :( Thanks for the chance to win! THis is an awesome giveaway! My flatiron now only has one setting - luke warm lol. Great giveaway! I am your newest follower! I really need a hair iron...my hair is getting too frizzy! I would love to win this!! I have had my iron for 7 yrs...time for a new one! Ah this would be a godsend - mine is ancient and frequently hurts my hair! Okay, I follow you on both Google Reader and Bloglovin. So I love you twice as much as all the other commenters and should be the winner by default? Dang, well, I tried. Still, I love Misikko and you're right- everything IS better in pink! Also, sweets, I am a follower of course! That little guy is so adorable, and I need bangs. For bangs, I will definitely need a straightener. I would love this product! I can't afford a salon and my hair would be very thankful for it. How cute is the pink color? Great giveaway and bonue points that it's pink! So fab. I am in dire need of a hair straightener upgrade! I want one of those SOOOOOOO bad!! I am following on Google Friend Connect and Twitter.